Bell Pottinger chairman Lord Bell has criticised the "fatuous and stupid" reporting by some newspapers over the controversial tax credits vote in the Lords, with Bell among the Conservative peers reported to have voted in "support of tax credit cuts for the working poor". Lord Bell: Accused The Guardian of "malice"
Although composer Andrew Lloyd Webber has been the focus for much of the media backlash, a story in The Guardian today implicates other "famous millionaires [who] voted with the Government" in the Lords. This includes Bell, as well as fellow Tory peer Sebastian Coe, who chairs Chime’s CSM Sport & Entertainment division. Speaking to PRWeek, Bell said he viewed amendments by Labour’s Baroness Hollis and crossbench peer Baroness Meacher to pause the tax credit cuts not as delaying measures, but rather attempts to "kill" the reforms approved by the Commons. "I believe the House of Lords does not have the right to go against the will of the elected chamber in the House of Commons," said Bell. The Guardian article accused Lord Webber, Lord Bell and others of voting "in support of tax credit cuts for the working poor". Although it did not mention Bell, a story in the Daily Mirror included Coe in an article headlined "11 millionaires who voted for Tory tax credit cuts in the House of Lords". Bell said: "I did not vote for anything. This is a very complicated and complex situation and to oversimplify this in the way many papers have, including of course The Guardian – to put down names ‘for’ and ‘against’ – is just fatuous and stupid. "They know that perfectly well. There’s malice in their hearts when they write things in The Guardian; I’m used to that, they do it all the time. It makes no difference to the way I behave or the way I think and never has done." He added: "I think the misreporting of this in the newspapers is beyond credibility. "The way this abuse is done would almost be laughable if it wasn’t so hurtful – it doesn’t hurt me because I’ve got a thick skin." Bell said he believed the Government "made a mistake" in the way it introduced the reforms into the House of Lords because peers were not able to undertake their role as an advisory chamber. But he added: "I think it’s childish to capitalise on that mistake, and it was only the opposition parties that capitalised on that mistake." A Guardian News & Media spokesperson said: "We have not received any complaints about the article in question." Chime was also asked if it wanted to respond on behalf of Lord Coe. Meanwhile, Lord Lloyd Webber has released a statement on his website in response to the criticism levelled at him, much of which has suggested he flew back to the UK from the US to vote. The statement, published on Tuesday, said: "Andrew Lloyd Webber flew back from New York at his own expense to attend the opening night of Cats at the London Palladium at 7pm tonight. He is also working with the cast today. Coming back to London allowed him to vote in the House of Lords last night. He has never claimed expenses from the House of Lords. "He voted last night because he feels that it is important for democracy that the House of Lords should not override decisions made by the elected House of Commons. While there are important constitutional issues concerning the House of Lords, Andrew is pleased that the Chancellor, George Osborne, is reviewing the tax credits situation. "It is well known that Andrew is a UK resident and has never held non-domicile status. All of his business activities are based in the UK." The incident has reignited the question of whether the unelected House of Lords should have the ability to block decisions of the Commons. Interviewed by the BBC after the vote, Chancellor George Osborne said the vote raised "constitutional issues". 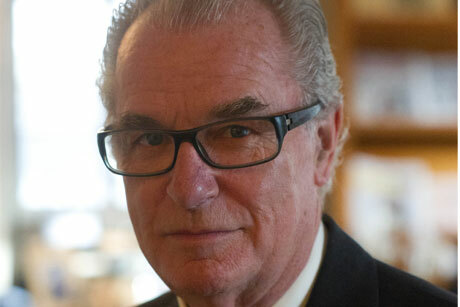 Lord Bell: "Putin is a good person"